After working diligently for decades to achieve your financial goals, you understandably want to preserve your gains and leave an enduring legacy to the next generation. For better or for worse, though, your heirs have free will. Even while you’re alive and very much capable of directly communicating with your children, favored charities and others, you might already be uncomfortably familiar with the limits of your influence. As you contemplate the future, it’s easy to ponder disagreeable scenarios. What if your adult child squanders the business you leave her by getting involved with a dubious partner or burning through cash reserves and taking speculative risks? 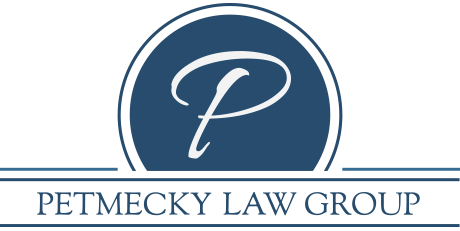 What if the non-profit that you co-founded mismanages the property that you leave it or runs afoul of legal issues? An aggressive creditor, fraud, financial mismanagement, or some other unfortunate act undoes your hard work and creates a complicated, expensive, dramatic mess for your family. In this month’s newsletter, we will explore a solution to the problem of how to best pass along your financial legacy, so that you can breathe easier and feel more comfortable with your options. The good news is that you’re not the first to deal with this anxiety. For centuries, wealthy people have wrestled with how to protect and exert control over the next generation. As a result, they and their advisors have developed quite a toolbox. This “insider secret of the wealthy” we are about to discuss is strategic as well as tactical. But before we dive in, I want to share what is the more common planning option. In many estate plans, inheritances are given to heirs staggered (such as one-third at age 25, one-third at age 30, and the rest at age 35) or outright with no strings attached. This approach seems straightforward and therefore sensible. But, staggered or outright distributions are less than ideal because they leave your heirs’ inheritance vulnerable to interference from creditors, predators, and courts. So what can and should be done, instead? Here’s one powerful answer: Leave an inheritance in a discretionary lifetime trust, rather than outright or staggered. Depending on how it’s implemented in your circumstances, this type of trust lets you pass assets along to beneficiaries now or at your death. As the name implies, you give the trustee discretion over how and when the beneficiaries may access trust assets. Certain uses of the money might be deemed acceptable, whereas other uses will be restricted. For instance, if your daughter wants to go to medical school, or your son wants seed money to launch a business, then the money is available. However, if your child (or other beneficiary) veers off path or violates the terms and conditions you incorporate into the trust, then the assets are not available. With proper planning and a good choice of trustee, the funds you set aside can last for your beneficiaries’ whole lives and beyond. How Does This Tool Shield an Inheritance? First of all, the discretionary lifetime trust cordons off the inheritance. A vengeful ex-spouse, plotting business partner, unshakeable creditor, or plaintiff in a lawsuit against your beneficiary will have a very hard time breaking down the wall surrounding the property and assets you’ve left. Of course, no wall is impenetrable, but this one can be made quite strong. The trustee has the power to go inside this wall, according to your explicit and pre-determined wishes, and access the funds. But the “bad guys” are generally kept at bay. You can also ensure that whatever is “left-over” in the trust after a beneficiary dies goes to where you want. You could stipulate that what’s left should be passed to a grandchild, a sibling, or a cherished organization. In this way, you can develop a series of discretionary lifetime trusts and ensure your legacy for decades or longer. This also lets you enshrine your standards and values by imposing them as conditions on the benefits. You can also empower the trustee to proactively help beneficiaries. For instance, if the trustee notices that your son (sadly) has become an alcoholic or inveterate gambler who cannot be trusted with an allowance, she can be given the discretion to deny or limit the flow of benefits to him and instead use trust funds on his behalf (say to directly pay rehabilitation, rent, or other expenses). Of course, there are numerous other benefits to discretionary trusts, ranging from estate and income tax planning to proactively passing along financial values. Although a long-utilized and popular tool for the wealthy, this type of trust has helped protect countless people across the entire wealth spectrum, from the modest to the well-to-do. In many cases, it can help your family too. You probably have many questions about lifetime discretionary trusts. We’re here to help. Please call us today, so we can explore how we can help you and your family.